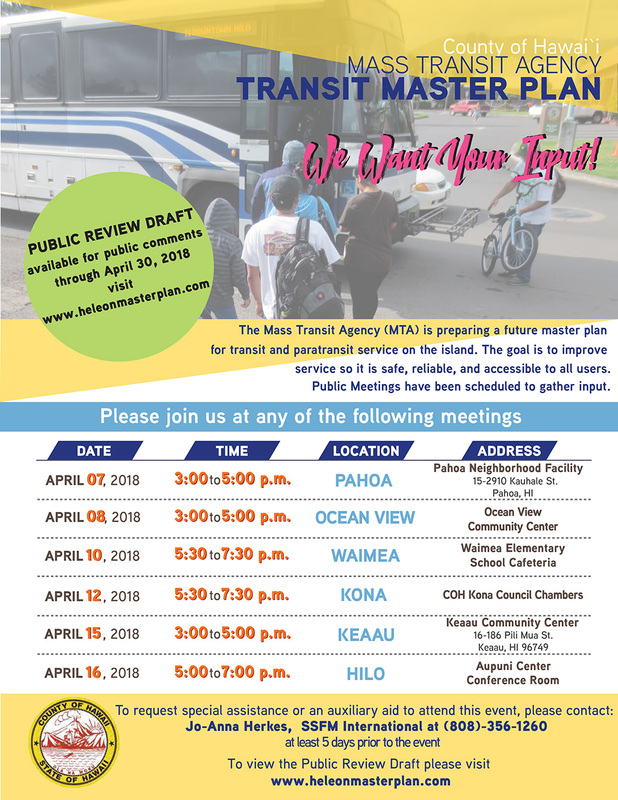 The Mass Transit Agency (MTA) is preparing a future master plan for transit and paratransit service on the island. The goal is to improve service so it is safe, reliable, and accessible to all users. 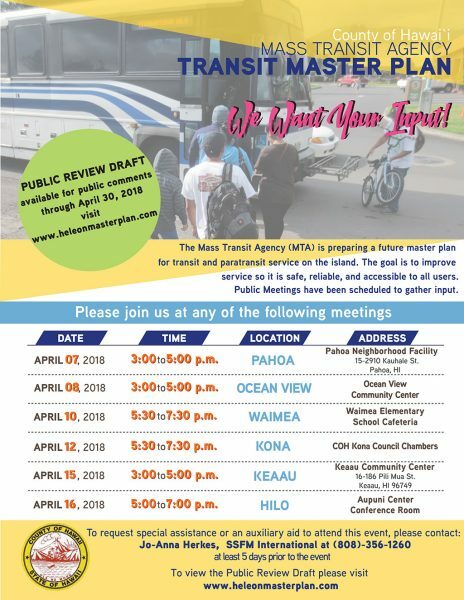 Public Meetings have been scheduled to gather input.